It’s a sad day for the small village of Bunawan, as Lolong the Indo-Pacific crocodile passed away February 10th. The massive 20.24 foot long crocodile was captured in 2011 near the tiny village of Nueva Era after it was suspected for the death of several villagers and weighed in at a hefty 2,370 lbs. Lolong was kept is a small, custom-built enclosure and consisted on a diet that alternated between poultry and meat. 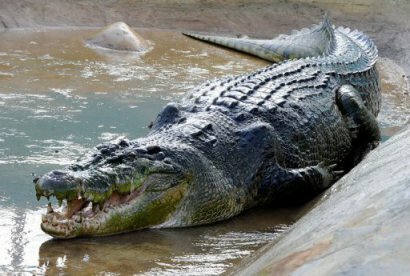 Although the exact reason for Lolong’s unexpected death are unconfirmed, rumor has it that the croc swallowed a piece of cord about three weeks prior and has suffered health issues since. 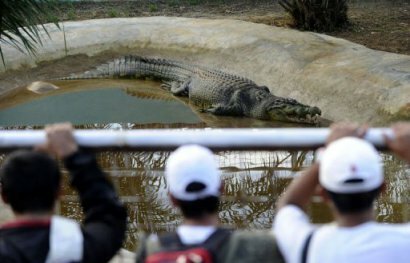 The gigantic man-eater will be missed by his caretakers as well as the residents of Bunawan, as the impressive reptile was the village’s sole source of tourism. Personally, I suggest that Lolong’s keepers should make a date with a professional taxidermist, as legendary Saint Augustine saltwater crocodile Gomek did, so that this titian can be preserved for future generations.